Ms. Nicole Amalfe, Nurse Clinician at JFK Medical Center in Edison, NJ, has been elected to the American Health Council’s Board of Nurses. With 12 years in the healthcare industry, including 2 in her most current role, Ms. Amalfe offers skills and expertise in General and Emergency Room Nursing, and Wound Care. Obtaining her BSN in 2008 from Sacred Heart University, Ms. Amalfe went on to receive her MSN from Drexel University, and cites becoming involved in her profession in high school, deciding to pursue a career in Nursing at an early age. 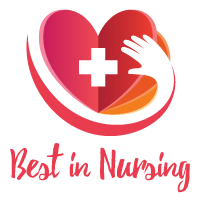 She attributes her past and present success to the nurses who took her under their wings to teach her all the best practices that Nursing offers. At JFK Medical Center, Ms. Amalfe partakes in day to day responsibilities, including acting as a liaison between the administration and the nurses. She informs the administration of the needs of the nurses in all aspects, as well as supporting administration in their initiatives for hospital improvements. Within the next 5 years, Ms. Amalfe looks forward to the possibility of pursuing a Doctorate of Nursing Practice degree. She looks forward to her future growth and advancement in her career, and recognizes her parents for supporting her throughout her undergraduate degree and her husband for supporting her during her graduate studies. Ms. Amalfe cites rescuing her dog and providing it with a better life as personal achievements, and enjoys skiing and spending time outdoors in her spare time. JFK Medical Center was established in 1967. JFK Medical Center is a non-profit, 498 bed community serving residents of Middlesex, Union, and Somerset countries in Central New Jersey. JFK has a proud tradition of clinical excellence in numerous medical and surgical specialties. This medical center is committed to excellence in providing quality and compassionate healthcare services to its diverse communities.